The cost of not having breakdown cover can be huge due to the high towing costs and call out charges which mean breakdown insurance is almost a necessity. Breakdown cover will usually pay for itself the first time you need it, as motorway towing charges can be £150, the average garage call-out charge is £90 and the average call-out for a flat battery is £66. Not only that but breakdowns can cause you to miss a vital meeting, be stranded in the middle of nowhere or stuck on the motorway hard shoulder for hours making a good quality breakdown insurance policy an essential purchase. Flux Rescue offers great value cover for a great price. Similar levels of cover offered by the AA and RAC are nearly double the price. With Flux Rescue the vehicle is covered for UK and European roadside assistance and recovery, the cover also includes a home start service all from £56.00. Flux Rescue will arrange help at the scene of the breakdown and will arrange and pay call-out fees and labour charges needed to start the vehicle. If the vehicle cannot be repaired quickly at the scene of the breakdown, Flux Rescue will arrange national recovery and pay the reasonable cost of taking the vehicle, you and up to 5 passengers from the place where the vehicle has broken down to the nearest available garage. If the vehicle cannot be repaired at the scene of the breakdown and cannot be repaired the same day at a suitable garage, Flux Rescue will arrange and pay the reasonable cost of taking the vehicle, you and up to 5 passengers from the place where the vehicle has broken down to any one place you choose. 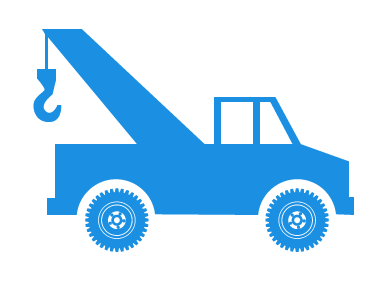 If the vehicle breaks down at your home or within one mile of your home, we will arrange help and pay call-out fees and labour charges needed to start the vehicle. If the vehicle cannot be repaired quickly at the scene of the breakdown, Flux Rescue will pay the reasonable cost of taking the vehicle to the nearest available garage. To help keep you and your party mobile whilst in most EU countries, Flux Rescue also provides you with additional benefits, including the cost of recovering the vehicle to your home if it cannot be repaired before your planned return date, or costs incurred in travelling from your home or holiday location to the scene of the breakdown to collect the vehicle after repair. Cover only applies for trips of 60 days or less and cover is limited to 60 days per period of insurance. Price comparison for similar level of cover taken on 07/06/18. The cost of this policy varies depending on type of risk, whether the policy is purchased in conjunction with your vehicle insurance. Regular cost without other vehicle insurance is £79.00 for cars, bikes and vans up to 2,500 kilograms (not available on motorhomes or vans over 2500kg). If purchased as part of your vehicle insurance we offer a fantastic reduced rate of £56.00 for cars, £53.00 for bikes, £39.00 for classic and kit cars, £90.00 for motorhomes and £90.00 for vans or pickups between 2,550 kilograms and 3,500 kilograms. Flux Rescue operates 24 hours a day, 365 days a year. Our trained staff are equipped with the most up to date mapping technology and computers to provide a fast and efficient service using a network of over 1,800 Breakdown Recovery Specialists. In the event of a breakdown all you need to do is call the Freephone Rescue Control Centre. There is no limit to how many callouts you can make during the year, but the breakdown labour costs incurred during a 12-month period must not exceed £3,000. Flux Rescue breakdown insurance cover is also available on classic car policies that include wedding use. There is no refund in the event of cancellation after the first 14 days, and there is no cover in force for the first 24 hours.